The NASA Extragalactic Database (NED) contains names, positions, and a variety of other data for extragalactic objects, as well as bibliographic references to published papers, and notes from catalogs and other publications. Up-to date statistics on the numbers of objects, data, references, and notes appear on our What's New page. NED may be searched for objects in many ways, including by name, position, redshift, type (e.g., galaxy, QSO, or infrared source), or by object classifications. NED serves a variety of data, including images and spectra at all wavelengths. Detailed photometric measurements, position measurements, diameter measurements, redshift and radial velocity measurements, and redshift-independent distances taken from catalogs and the published literature, are all available and searchable through NED's Interface. NED supports literature searches for references by author name or by object. It offers browsing capabilities for abstracts of articles of extragalactic interest that have appeared in Astronomy and Astrophysics, AJ, ApJ, MNRAS, and PASP since 1988, in IAU Circulars since 1991, in Publications of the Astronomical Society of Japan, Astronomy Reports, and Astronomy Letters (formerly Soviet Astronomy and Soviet Astronomy Letters) since 1992, in Astrofizika since 1993, in Astronomy and Astrophysics Reviews since 1994, in The Journal of Astronomical Data since 1995, and in New Astronomy since 1996. Also on-line are selected IAU Circulars as well as thesis abstracts of doctoral dissertations on extragalactic topics. Title and abstract searches of the NED literature database can be made by searching for text strings. NED offers a number of other tools and services, listed below. NED also maintains a large collection of references (from 1983 to the present, with many earlier references as well) to literature on extragalactic objects. Abstracts are available for papers published since 1988; and for many theses on extragalactic topics, most more recent than 1980. Catalogue notes are also available. We are constantly updating and improving NED, and would very much appreciate hearing from you if you have any comments, suggestions, or questions. You may contact any of the members of the NED Team. NED's By Name option allows you to search the database for a single object if you know its name. NED recognizes almost all of the names commonly used in extragalactic astronomy. If NED does not recognize a name, it will offer you choices of names it does know about that are similar to the name you typed in. Back to the Features List. NED's Near Name is similar to the "By Name" option, but allows you to broaden your search by including a specified area of the sky around your named object. You may specify a search radius up to 300 arcminutes (the default is 5.0 arcminutes). NED's Near Position option allows a search similar to the "Near Name" search, but here you specify a position on the sky. The default coordinate system is equatorial at the equinox of J2000.0, though you may change this to any equinox between 1500 and 2500, or to ecliptic, Galactic, or supergalactic coordinates. As with the "Near Name" search, you may specify a search radius of up to 300 arcminutes. NED's Search Objects and Unprocessed Catalog Sources option allows a search similar to the "Near Position" search, but with a new-style interface that optionally returns unprocessed catalog sources from very large catalogs that have yet to be cross-matched with NED. The default coordinate system is equatorial at the equinox of J2000.0, though you may change this to any equinox between 1500 and 2500, or to ecliptic, Galactic, or supergalactic coordinates. You may specify a search radius of up to 300 arcminutes. NED's IAU Format search allows you to enter a coordinate-based (IAU-style or PKS-like) name, e.g. 0234-37, which NED interprets as an equatorial coordinate. The database is searched around this position and all objects within a certain radius of the position are returned. NED will interpret the position in a "strict" or "liberal" manner; choosing "liberal" searches a larger area of sky. NED's By Classifications, Types, Attributes search allows you to find objects based on their optical, radio, infrared, and spectroscopic classifications. Any set of types may be combined with any other to build samples of, for example, S0 galaxies that are also Seyfert 2's, or that are FR II radio sources as well as ULIRGs. NED currently has classifications from many catalogues and papers including RC3, RSA, VCV (12th edition), ESO, UGC, and Fanaroff and Riley (1976). NED's By Refcode option allows you to retrieve objects from NED using a specific literature reference (for example, all NED objects included in the paper "The Continuum Infrared Emission of AGN" by M.S. Vaceli, S.M. Viegas, R. Grunewald, and P. Benevides-Soares which appeared in PASP 105, 875, 1993,). You may also initiate this search from the "Ref_data" and the "Abs_data" windows that result from reference or abstract searches. In these results windows, clicking on "Retrieve NED Objects" will return a list of extragalactic objects discussed in the paper. NED's Advanced All-Sky search lets you retrieve objects from NED by setting various constraints (parameters). Currently available constraints are equatorial and Galactic coordinates, redshift, object type, and catalog name prefix. You may set these constraints individually, or you may combine them. You may also combine object type and name prefix constraints using the "ANY" or "ALL" options (corresponding to logical ORs or ANDs, respectively). NED's new By Environment service returns a list of NED objects within 10 Mpc and 5000 km/s of the input position or object, and plots them in position-velocity diagrams. Apparent object densities and environmental indices are also returned. NED's Images option allows you to search the database for published images, or for cutouts from the Digitized Sky Survey, for a given object. While most of the images NED currently has on-line are optical, infrared, and radio images of galaxies, we also collect HI spectra, isophote maps, and other graphical representations of extragalactic data. For those FITS images that have valid World Coordinate Systems in their headers, it is also possible to immediately view these images in the interactive display tool ALADIN (from CDS). We gratefully acknowledge the many individuals who have already sent images in machine-readable formats for integration into NED. Digitized Sky Survey images in NED appear courtesy of AURA /STScI . This option allows you to search NED's archive of spectra, and to examine and retrieve the spectra. You may also work with them with Specview, a tool developed by Ivo Busko at STScI. NED has X-ray, UV, optical, Infrared, and HI spectra from many different papers. NED's Photometry option allows you to search the database for photometric data for a given object. All the information that you will need to correctly interpret the data is also carried along with the photometry. Along with the retrieved photometric data for an object, NED provides a spectral energy distribution (SED) plot of those data. The default plot is log f_nu (flux) in Janskys vs. log nu (frequency), though you have options to easily change the units of either axis. You may enlarge any part of the plot, and may also display it with or without labels and/or error bars. You may also download PostScript versions of the SED plot. As with the "By Name" search, NED will give you various options if it does not recognize the name you type in. NED's Positions option allows you to search the database for position data from various lists or catalogs for a given object. This provides an easy way to compare positions from different wavelength regimes for the same object. As with the "By Name" search, NED will give you various options if it does not recognize the name you type in. This option differs from NED's "Near Position" search in that it returns the position data as published, along with all the information from the published source that you will need to usefully interpret the position. NED's Diameters option allows you to search the database for published diameters for a given object. Currently, NED has optical, near-infrared, and HI diameters from 2MASS, 2MASS-LGA, RC3, UGC, ESO-B, ESO-LV, MCG, a few radio surveys, and other papers. NED's Redshifts option allows you to search the database for published redshifts or radial velocities for a given object. Currently, NED has optical and HI redshifts from RC3, HMS, LBQS, LCRS, APM, and about 200 other surveys and papers. NED's Redshift-Independent Distances option allows you to search the database for published redshift-independent distances for a given object. 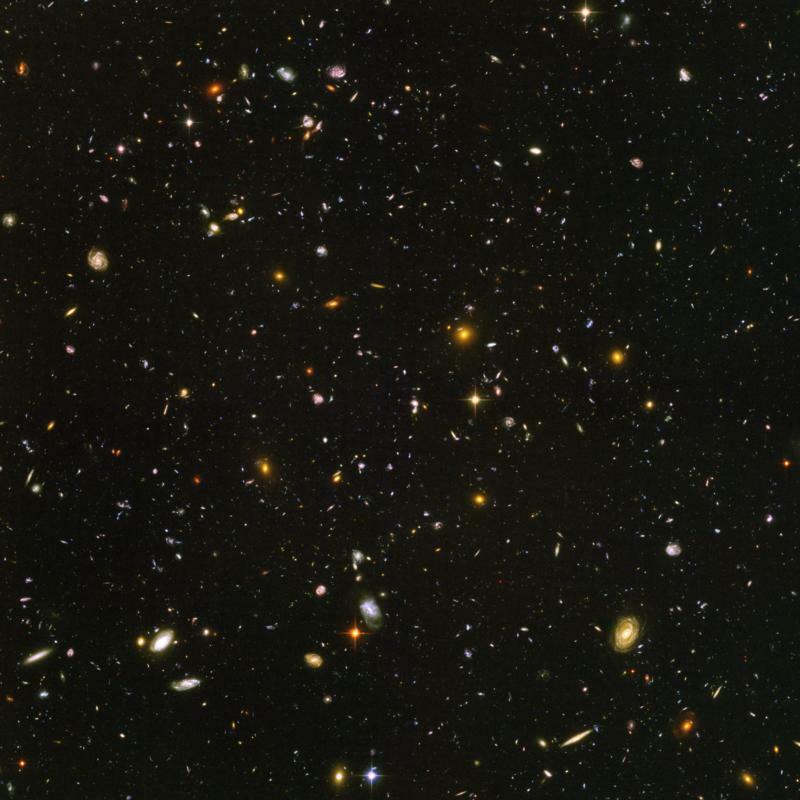 Currently, NED has more than 34,000 redshift-independent distances for over 9,000 extragalactic objects from several hundred papers published primarily between 1990 and 2008. NED's lists of Redshift-Independent Distances currently include more than 19,000 redshift-Independent distances for over 6,200 extragalactic objects from several hundred papers published primarily between 1990 and 2006. NED's Classifications by Object Name option allows you to search the database for published classifications for a given object. Currently, NED has classifications from many catalogues and papers including RC3, RSA, VCV (12th edition), ESO, UGC, and Fanaroff and Riley (1976). The Morphological Galaxy Catalogue (translated to English; southern zones). NED also contains "Essential Notes" (entered by members of the NED team) when the identification, position, redshift, etc. of an object is affected by e.g. an error in a published paper or catalog, confusion by nearby sources, and so forth. NED's Author Name option allows searches of the reference database and thesis list using authors' last names. NED will return references even if the author requested is not the first author on the paper. NED's References option allows you to search the database for references in the astronomical literature to information about a particular object. You may also use the "Related Objects" (wildcard) feature which will return references about all objects with the same root name. For example, searching for "VV 237" and "Related Objects" returns not only references concerning just VV 237, but also those about VV 237a, VV 237b, and so on. You may also restrict the search to specific years. LEVEL 5 brings together in a single gateway WEB site (where copyrights allow) "original" documents and reviews, and/or electronic links to articles of current and lasting interest to cosmologists, particle physicists, and extragalactic astronomers. LEVEL 5 is a hyperlinked document, providing multiple paths to information, presented at a variety of levels of complexity: from simple definitions up to essays, recent research articles, detailed monographs, and extensive reviews. Within each of these articles, the individual extragalactic objects cited in the text are cross-linked to the NED Basic Data, and similarly all available citations are hyperlinked to NASA's Abstract Data Service (ADS) or to ASTRO-PH, in some important cases prior to publication. Tabular Data, images, and graphs are also provided and are being progressively linked to and from essays and review articles. LEVEL 5's Glossary and Lexicon is a compilation and modern updating of terms culled from the published literature. It is designed to cover all of astronomy, and is in this sense a slight departure from the extragalactic nature of the rest of NED and LEVEL 5. It has been compiled from twenty different references, and has appropriate links to LEVEL 5 articles. The Source Nomenclature service may be used to look up catalog and source name acronyms and their definitions, the reference codes for the journal articles they came from or were derived from, and the types of objects contained in the corresponding catalog. Enter either a catalog name (e.g., 2MASX) or definition sub string (e.g., 2 Micron All Sky Survey) in the corresponding query box. The information about the queried acronym or related acronyms will be delivered in a new-style table, including links to the relevant refcode or survey URL. NED currently has abstracts from 1988 to the present for A&A, A&AS, AJ, ApJ, ApJS, MNRAS, and PASP; from 1991 for IAUC; from 1992 for PASJ, ARep, and AstL; from 1993 for Afz; from 1994 for A&ARv; from 1995 for JAD; and from 1996 for NewA. Within those years, you may constrain your search to a given year, volume number (NED displays the relevant volume numbers for the year you specify), or even a specific page number if you have it at hand. You may also choose to search only the Letters (or pink pages) sections of the journals. You may use NED's Thesis Abstracts option to search for abstracts of theses on extragalactic topics. This option supports thesis searches by year ranges as well as by author name. Thesis searches may also be done with the "Author Name" option. NED's Text Search page allows you to search for words -- single or in Boolean combinations -- that occur in NED's literature and thesis abstracts, or in the LEVEL 5 Extragalactic Knowledgebase. The search returns a list of NED or LEVEL 5 files that contain your search string. NED's Coordinate and Extinction Calculator is an easy-to-use coordinate transformation, precession, and position angle calculator. It also returns the foreground Galactic extinction, using the Schlafly & Finkbeiner 2011 (ApJ 737, 103, 2011) recalibration of the Schlegel, Finkbeiner & Davis 1998 (ApJ 500, 525, 1998; SFD98) extinction map. The original SFD98 extinction values are also returned for comparison purposes. The calculator is flexible enough to convert accurately between Besselian and Julian equinoxes, taking the epoch of observation into account when needed. Unless you override the defaults, the calculator assumes that Besselian dates refer to the FK4 system, and that Julian dates refer to the FK5 optical system (the more recently adopted International Celestial Reference System (ICRS) is based on VLBI of compact radio sources; ICRS is consistent with FK5 to within the errors of the optical system). Most redshifts for extragalactic objects are published as "heliocentric" redshifts -- that is, the earth's rotational and orbital motions have been removed from the measured velocity. It is often necessary to further "correct" the redshifts for other motions: Galactic rotation, peculiar motion of the Galaxy within the Local Group, and motion within the reference frame defined by the 3K microwave background radiation. NED's Velocity Calculator enables you to make these corrections as needed. NED has several pre-defined apex vectors that you may use, or you may input your own apex vector. Many coordinates for celestial objects are published as rectangular coordinates referred to a "central" object or position, for example in a cluster of galaxies. NED's X/Y Offset to RA/Dec Converter allows you to convert these rectangular coordinates to equatorial coordinates given the equatorial coordinates for the reference object. If the object is in NED, its name may be used instead of the position. Any image scale may be used, rotation of the rectangular grid can be removed, and rectangular coordinates increasing in any direction can be accommodated. NED is providing these links to outside sites at the specific request of users and as an additional service to extragalactic researchers in general. The NED Team has not fully validated any of these calculators, and questions concerning the algorithms used, their range of application and the precision of the returned results should be directed to the original Web site creators. Links to five different Cosmology Calculators enable you to calculate various cosmological parameters, or to correct your observations for redshift given a variety of different input parameters. Similarly, links to five different Extinction Calculators enable you to calculate Galactic extinction by several different methods for almost any position on the sky at Galactic latitudes greater than about 5 degrees. For your convenience, we provide a list of World Wide Web sites that provide services related to NED.